Ripple Grove Press, 9780991386666, 40pp. 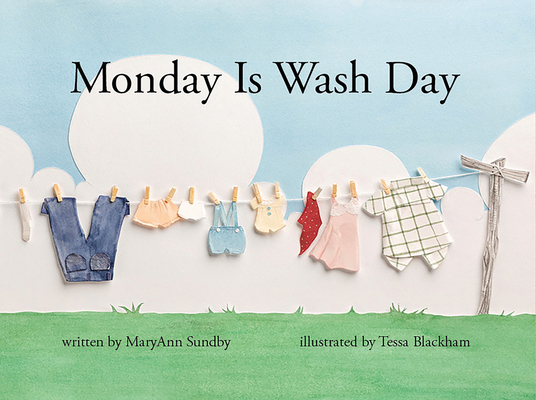 In this timeless story from a time not so long ago, Annie and her sister help Mama with washing the clothes on Monday morning. From gathering and sorting the clothes, to washing and hanging them outside to dry, to folding and putting them away, the family works together to get the job done. MaryAnn Sundby is an avid adventurer and history buff who enjoys writing stories that enhance understanding of heritage along with fostering hope and joy. She lives in Castle Rock, Colorado. Tessa Blackham is a freelance illustrator. In her spare time enjoys sailing and playing the piano. She lives in Seattle, Washington.